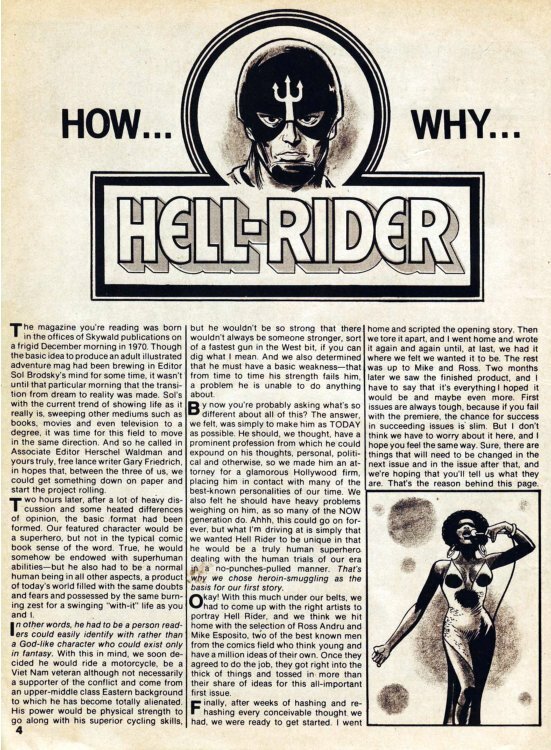 Hero Histories: Reading Room: HELL-RIDER "How...Why...Hell-Rider"
As mentioned in the editorial, the second issue featured all three strips in non-related tales. 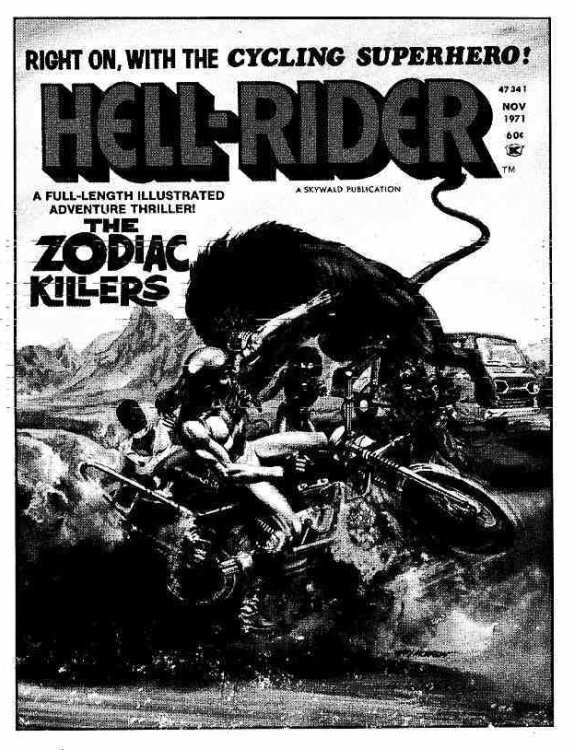 Because this issue filled up the entire week, we'll be presenting the individual stories for Hell-Rider and the Wild Bunch over the next month. It's a pity we'll never see it. 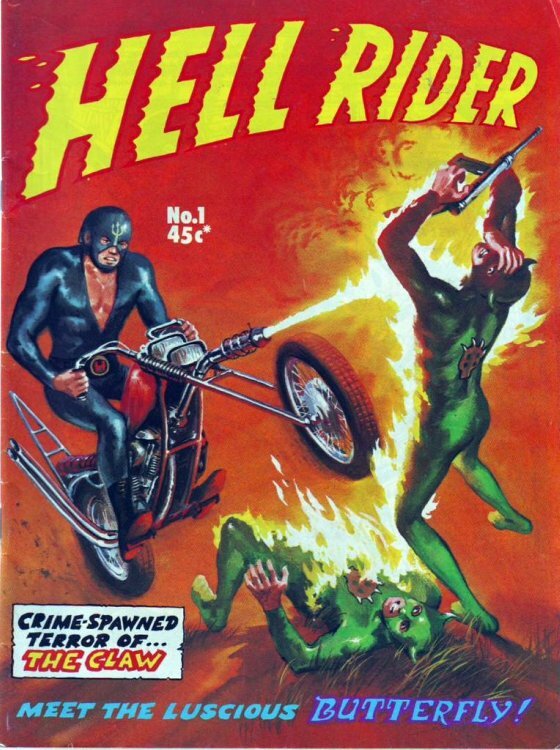 Can't really see that issue 3 cover very well but if you look closely, you do see the signature of artist Gray Morrow! 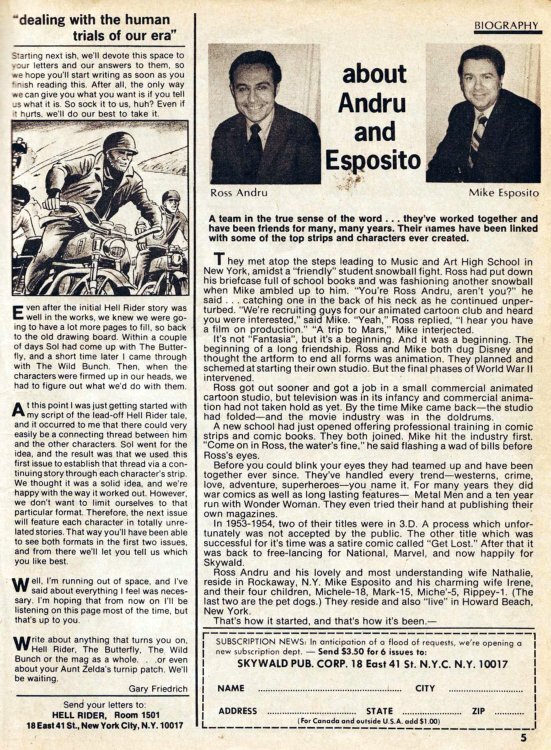 I've never seen a color version of it and the illo I used is from an ad in the back of Psycho #5.